1.Floor and roof live loads. 3.Ultimate design wind speed, Vult, (3-second gust), miles per hour (mph) (km/hr) and nominal design wind speed, Vasd, as determined in accordance with Section 1609.3.1 and wind exposure. 4.Seismic design category and site class. 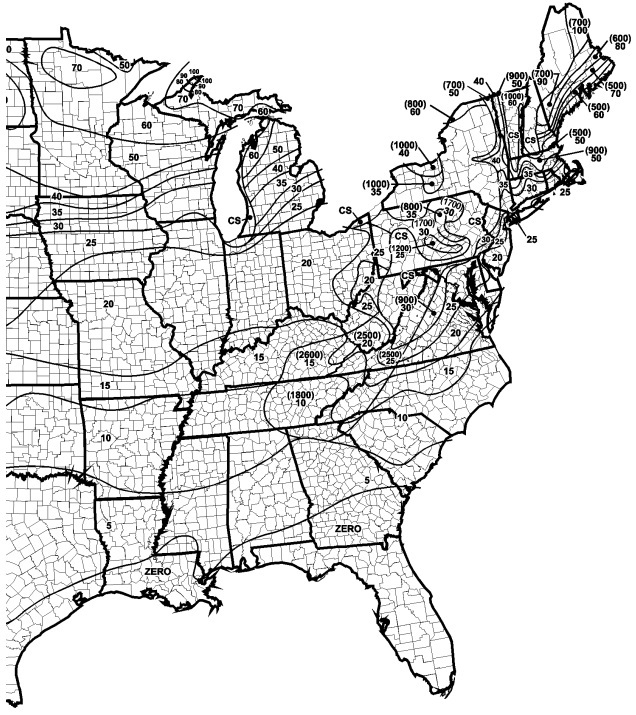 5.Flood design data, if located in flood hazard areas established in Section 1612.3. 6.Design load-bearing values of soils. 1603.1.3 Roof snow load data. 3.Snow load importance factor, Is. 5.Drift surcharge load(s), Pd, where the sum of Pd and Pf exceeds 20 psf (0.96 kN/m2). 6.Width of snow drift(s), w.
1.Ultimate design wind speed, Vult, (3-second gust), miles per hour (km/hr) and nominal design wind speed, Vasd, as determined in accordance with Section 1609.3.1. 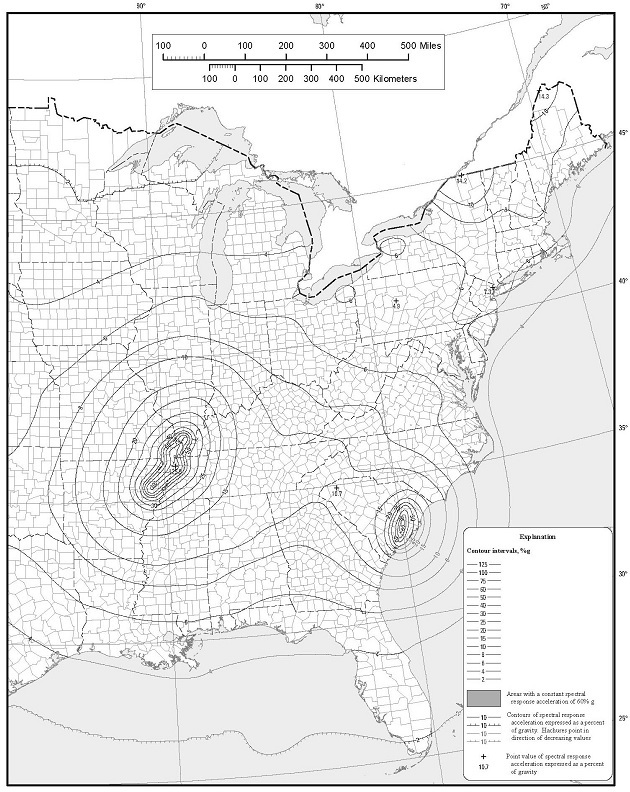 3.Wind exposure. 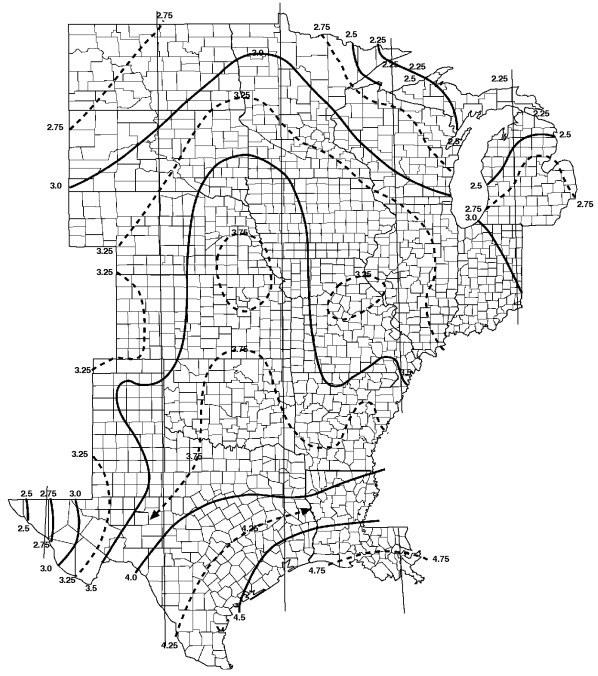 Applicable wind direction if more than one wind exposure is utilized. 5.Design wind pressures to be used for exterior component and cladding materials not specifically designed by the registered design professional responsible for the design of the structure, psf (kN/m2). 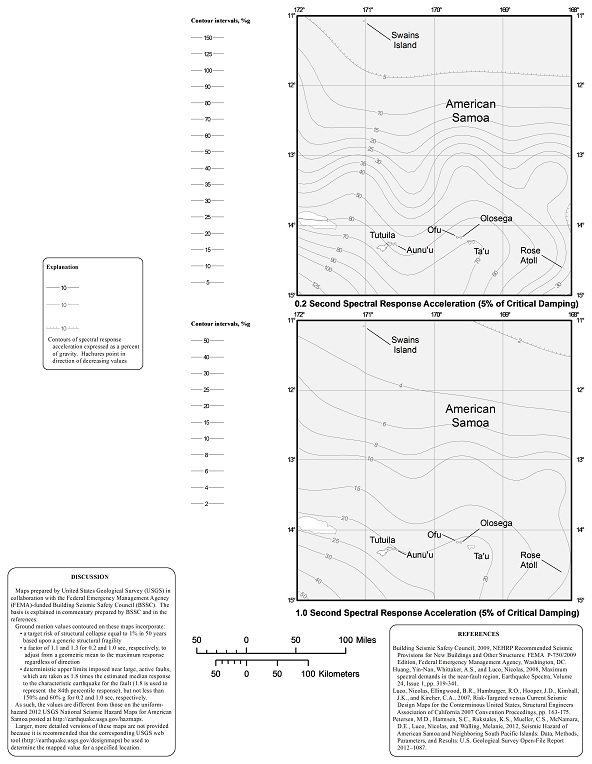 3.Mapped spectral response acceleration parameters, SS and S1. 5.Design spectral response acceleration parameters, SDS and SD1. 1.Flood design class assigned according to ASCE 24. 2.In flood hazard areas other than coastal high hazard areas or coastal A zones, the elevation of the proposed lowest floor, including the basement. 3.In flood hazard areas other than coastal high hazard areas or coastal A zones, the elevation to which any nonresidential building will be dry floodproofed. 4.In coastal high hazard areas and coastal A zones, the proposed elevation of the bottom of the lowest horizontal structural member of the lowest floor, including the basement. d. The deflection limit for the D+L load combination only applies to the deflection due to the creep component of long-term dead load deflection plus the short-term live load deflection. For wood structural members that are dry at time of installation and used under dry conditions in accordance with the ANSI/AWC NDS, the creep component of the long-term deflection shall be permitted to be estimated as the immediate dead load deflection resulting from 0.5D. 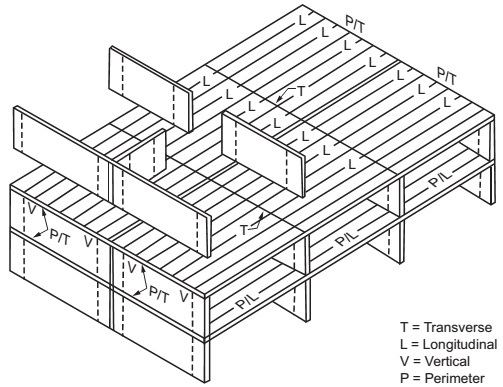 For wood structural members at all other moisture conditions, the creep component of the long-term deflection is permitted to be estimated as the immediate dead load deflection resulting from D. The value of 0.5D shall not be used in combination with ANSI/AWC NDS provisions for long-term loading. f. The wind load is permitted to be taken as 0.42 times the “component and cladding” loads for the purpose of determining deflection limits herein. Where members support glass in accordance with Section 2403 using the deflection limit therein, the wind load shall be no less than 0.6 times the “component and cladding” loads for the purpose of determining deflection. • Power-generating stations, water treatment facilities for potable water, wastewater treatment facilities and other public utility facilities not included in Risk Category IV. 1.The reactions resulting from the dead load and live load specified in Table 1607.1, or the snow load specified in Section 1608, in accordance with Section 1605, acting on all portions of the deck. 2.The reactions resulting from the dead load and live load specified in Table 1607.1, or the snow load specified in Section 1608, in accordance with Section 1605, acting on the cantilevered portion of the deck, and no live load or snow load on the remaining portion of the deck. 1604.10 Wind and seismic detailing. 3.The seismic load effects including overstrength factor in accordance with Section 12.4.3 of ASCE 7 where required by Section 12.2.5.2, 12.3.3.3 or 12.10.2.1 of ASCE 7. With the simplified procedure of ASCE 7 Section 12.14, the seismic load effects including overstrength factor in accordance with Section 12.14.3.2 of ASCE 7 shall be used. 1.The basic combinations for strength design with overstrength factor in lieu of Equations 16-5 and 16-7 in Section 1605.2. 2.The basic combinations for allowable stress design with overstrength factor in lieu of Equations 16-12, 16-14 and 16-16 in Section 1605.3.1. 3.The basic combinations for allowable stress design with overstrength factor in lieu of Equations 16-21 and 16-22 in Section 1605.3.2. 1605.2 Load combinations using strength design or load and resistance factor design. 1.Where other factored load combinations are specifically required by other provisions of this code, such combinations shall take precedence. 2.Where the effect of H resists the primary variable load effect, a load factor of 0.9 shall be included with H where H is permanent and H shall be set to zero for all other conditions. 1605.3 Load combinations using allowable stress design. 1.Crane hook loads need not be combined with roof live load or with more than three-fourths of the snow load or one-half of the wind load. 2.Flat roof snow loads of 30 psf (1.44 kN/m2) or less and roof live loads of 30 psf (1.44 kN/m2) or less need not be combined with seismic loads. 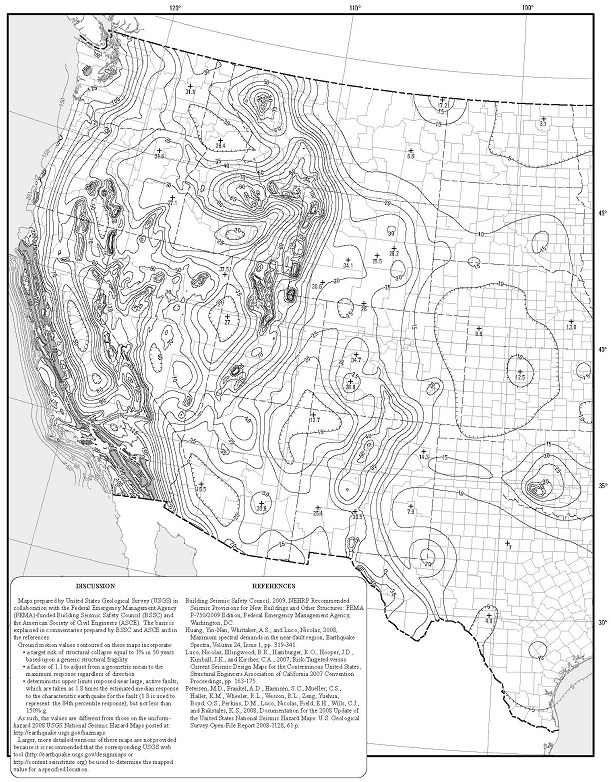 Where flat roof snow loads exceed 30 psf (1.44 kN/m2), 20 percent shall be combined with seismic loads. 3.Where the effect of H resists the primary variable load effect, a load factor of 0.6 shall be included with H where H is permanent and H shall be set to zero for all other conditions. 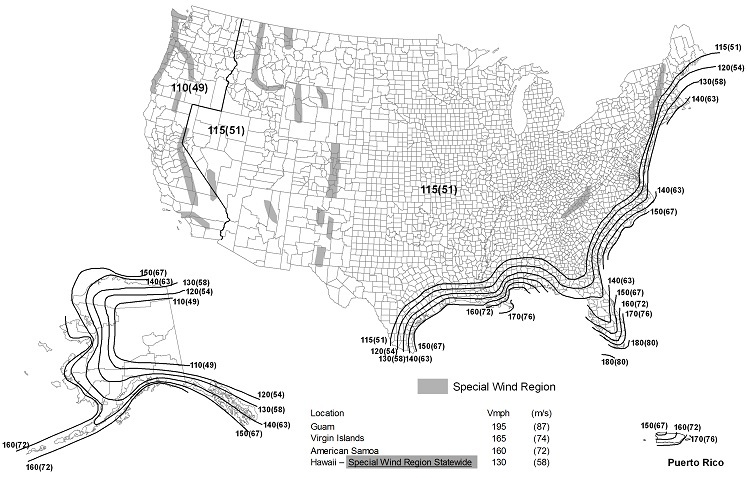 4.In Equation 16-15, the wind load, W, is permitted to be reduced in accordance with Exception 2 of Section 2.4.1 of ASCE 7. 5.In Equation 16-16, 0.6 D is permitted to be increased to 0.9 D for the design of special reinforced masonry shear walls complying with Chapter 21. 1605.3.2 Alternative basic load combinations. 1.Crane hook loads need not be combined with roof live loads or with more than three-fourths of the snow load or one-half of the wind load. 3.Parallel rows of double-faced book stacks shall be separated by aisles not less than 36 inches wide. 1.A uniform live load, L, as specified below. This load shall not be reduced. 1.1.40 psf (1.92 kN/m2) where the design basis helicopter has a maximum take-off weight of 3,000 pounds (13.35 kN) or less. 1.2.60 psf (2.87 kN/m2) where the design basis helicopter has a maximum take-off weight greater than 3,000 pounds (13.35 kN). 2.A single concentrated live load, L, of 3,000 pounds (13.35 kN) applied over an area of 4.5 inches by 4.5 inches (114 mm by 114 mm) and located so as to produce the maximum load effects on the structural elements under consideration. The concentrated load is not required to act concurrently with other uniform or concentrated live loads. 3.Two single concentrated live loads, L, 8 feet (2438 mm) apart applied on the landing pad (representing the helicopter’s two main landing gear, whether skid type or wheeled type), each having a magnitude of 0.75 times the maximum take-off weight of the helicopter, and located so as to produce the maximum load effects on the structural elements under consideration. The concentrated loads shall be applied over an area of 8 inches by 8 inches (203 mm by 203 mm) and are not required to act concurrently with other uniform or concentrated live loads. 1607.7.2 Fire truck and emergency vehicles. 2.The live loading specified in Section 1607.7.1. 1607.7.4 Forklifts and movable equipment. 1607.8 Loads on handrails, guards, grab bars, seats and vehicle barriers. 1.For one- and two-family dwellings, only the single concentrated load required by Section 1607.8.1.1 shall be applied. 2.In Group I-3, F, H and S occupancies, for areas that are not accessible to the general public and that have an occupant load less than 50, the minimum load shall be 20 pounds per foot (0.29 kN/m). 1607.8.2 Grab bars, shower seats and dressing room bench seats. 1607.9.3 Elements supporting hoists for façade access equipment. 1607.9.4 Lifeline anchorages for façade access equipment. 1607.10 Reduction in uniform live loads. 1607.10.1 Basic uniform live load reduction. 1.The live loads for members supporting two or more floors are permitted to be reduced by a maximum of 20 percent, but the live load shall be not less than L as calculated in Section 1607.10.1. 2.For uses other than storage, where approved, additional live load reductions shall be permitted where shown by the registered design professional that a rational approach has been used and that such reductions are warranted. 1607.10.2 Alternative uniform live load reduction. 1.A reduction shall not be permitted where the live load exceeds 100 psf (4.79 kN/m2) except that the design live load for members supporting two or more floors is permitted to be reduced by a maximum of 20 percent. 2.A reduction shall not be permitted in passenger vehicle parking garages except that the live loads for members supporting two or more floors are permitted to be reduced by a maximum of 20 percent. 3.For live loads not exceeding 100 psf (4.79 kN/m2), the design live load for any structural member supporting 150 square feet (13.94 m2) or more is permitted to be reduced in accordance with Equation 16-24. 4.For one-way slabs, the area, A, for use in Equation 16-24 shall not exceed the product of the slab span and a width normal to the span of 0.5 times the slab span. 1.40 percent for members supporting one floor. 2.60 percent for members supporting two or more floors. 1607.11 Distribution of floor loads. 1607.12.1 Distribution of roof loads. 1607.12.2.1 Ordinary roofs, awnings and canopies. 1607.12.3.1 Vegetative and landscaped roofs. 1607.12.5.2 Photovoltaic panels or modules. 1607.12.5.3 Photovoltaic panels or modules installed as an independent structure. 1607.12.5.4 Ballasted photovoltaic panel systems. 1607.14 Interior walls and partitions. 1.The horizontal distributed load need only be applied to the partition framing. The total area used to determine the distributed load shall be the area of the fabric face between the framing members to which the fabric is attached. The total distributed load shall be uniformly applied to such framing members in proportion to the length of each member. 2.A concentrated load of 40 pounds (0.176 kN) applied to an 8-inch-diameter (203 mm) area [50.3 square inches (32 452 mm2)] of the fabric face at a height of 54 inches (1372 mm) above the floor. 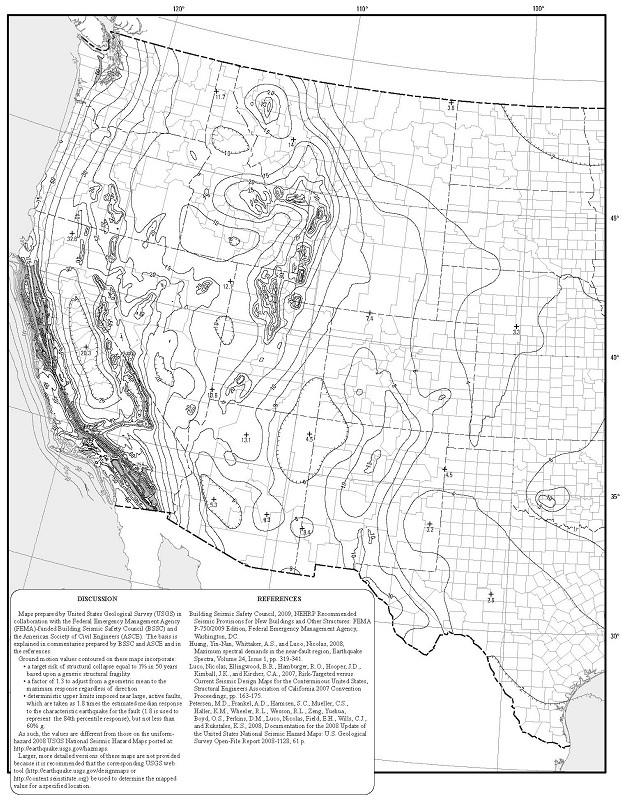 1609.1.1 Determination of wind loads. 1.Subject to the limitations of Section 1609.1.1.1, the provisions of ICC 600 shall be permitted for applicable Group R-2 and R-3 buildings. 2.Subject to the limitations of Section 1609.1.1.1, residential structures using the provisions of AWC WFCM. 3.Subject to the limitations of Section 1609.1.1.1, residential structures using the provisions of AISI S230. 4.Designs using NAAMM FP 1001. 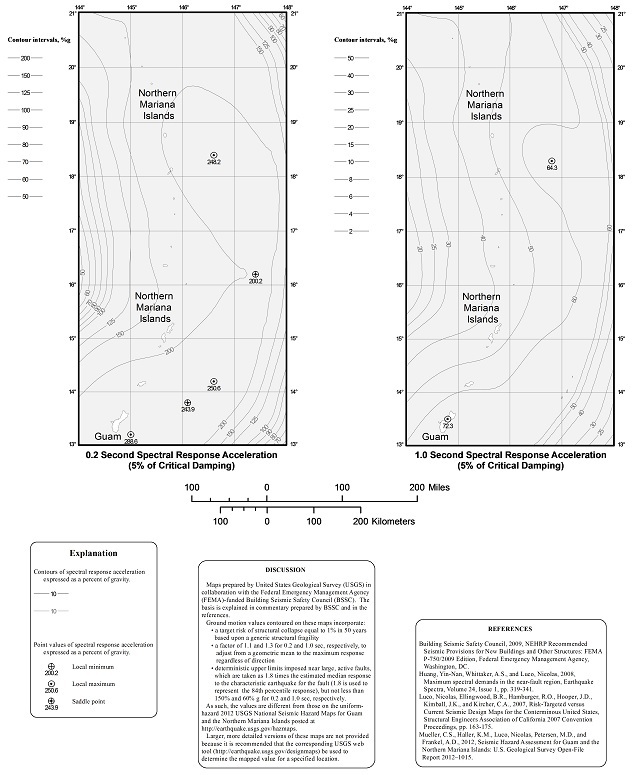 5.Designs using TIA-222 for antenna-supporting structures and antennas, provided the horizontal extent of Topographic Category 2 escarpments in Section 2.6.6.2 of TIA-222 shall be 16 times the height of the escarpment. 6.Wind tunnel tests in accordance with ASCE 49 and Sections 31.4 and 31.5 of ASCE 7. 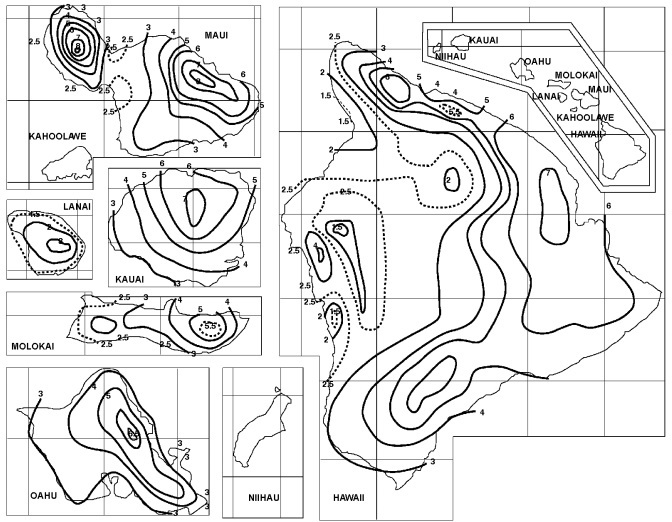 3.The hill, ridge or escarpment is unobstructed upwind by other such topographic features for a distance from the high point of 50 times the height of the hill or 1 mile (1.61 km), whichever is greater. 1.Glazed openings located within 30 feet (9144 mm) of grade shall meet the requirements of the large missile test of ASTM E1996. 2.Glazed openings located more than 30 feet (9144 mm) above grade shall meet the provisions of the small missile test of ASTM E1996. 1.Wood structural panels with a minimum thickness of 7/16 inch (11.1 mm) and maximum panel span of 8 feet (2438 mm) shall be permitted for opening protection in buildings with a mean roof height of 33 feet (10 058 mm) or less that are classified as a Group R-3 or R-4 occupancy. Panels shall be precut so that they shall be attached to the framing surrounding the opening containing the product with the glazed opening. Panels shall be predrilled as required for the anchorage method and shall be secured with the attachment hardware provided. Attachments shall be designed to resist the components and cladding loads determined in accordance with the provisions of ASCE 7, with corrosion-resistant attachment hardware provided and anchors permanently installed on the building. Attachment in accordance with Table 1609.1.2 with corrosion-resistant attachment hardware provided and anchors permanently installed on the building is permitted for buildings with a mean roof height of 45 feet (13 716 mm) or less where Vasd determined in accordance with Section 1609.3.1 does not exceed 140 mph (63 m/s). 2.Glazing in Risk Category I buildings, including greenhouses that are occupied for growing plants on a production or research basis, without public access shall be permitted to be unprotected. 3.Glazing in Risk Category II, III or IV buildings located over 60 feet (18 288 mm) above the ground and over 30 feet (9144 mm) above aggregate surface roofs located within 1,500 feet (458 m) of the building shall be permitted to be unprotected. 6.2.2.1Wind Zone 1—130 mph ≤ ultimate design wind speed, Vult < 140 mph. 6.2.2.2Wind Zone 2—140 mph ≤ ultimate design wind speed, Vult < 150 mph at greater than one mile (1.6 km) from the coastline. The coastline shall be measured from the mean high water mark. 6.2.2.3Wind Zone 3—150 mph (58 m/s) ≤ ultimate design wind speed, Vult ≤ 160 mph (63 m/s), or 140 mph (54 m/s) ≤ ultimate design wind speed, Vult ≤ 160 mph (63 m/s) and within one mile (1.6 km) of the coastline. The coastline shall be measured from the mean high water mark. 6.2.2.4Wind Zone 4— ultimate design wind speed, Vult >160 mph (63 m/s). 1609.3 Ultimate design wind speed. 1.Values are nominal design 3-second gust wind speeds in miles per hour (m/s) at 33 ft (10m) above ground for Exposure C Category. 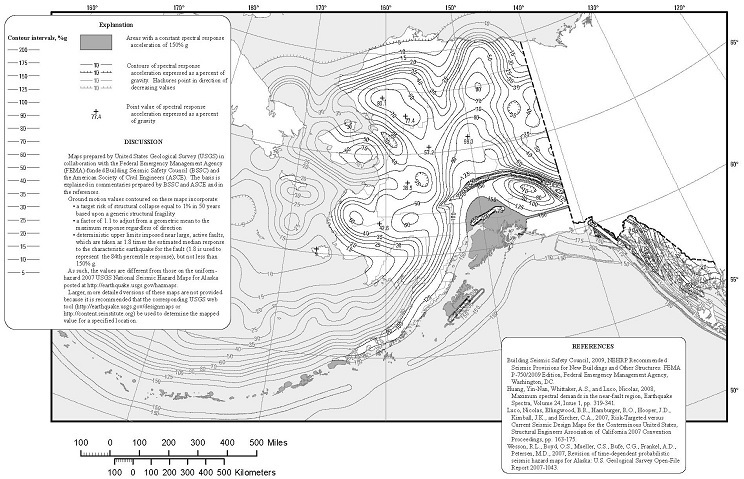 2.Linear interpolation between contours is permitted. 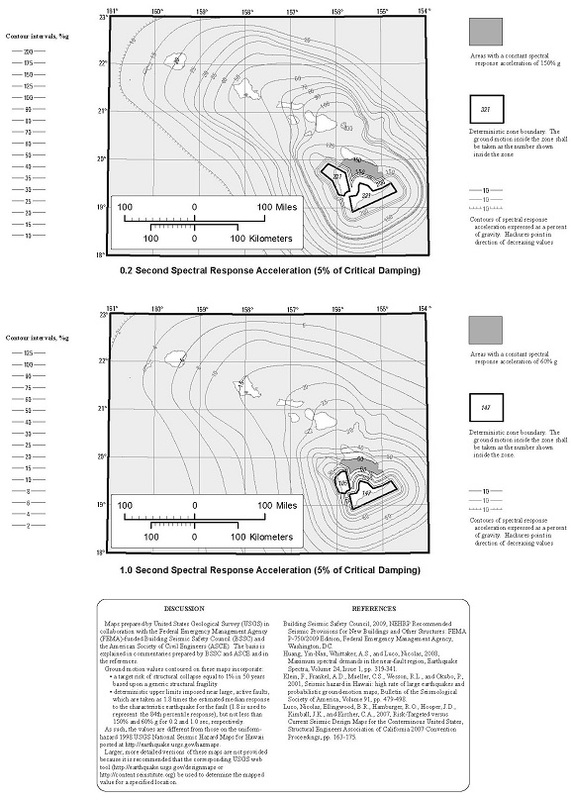 3.Islands and coastal areas outside the last contour shall use the last wind speed contour of coastal area. 4.Mountainous terrain, gorges, ocean promontories, and special wind regions shall be examined for unusual wind conditions. 5.Wind speeds correspond to approximately a 7% probability of exceedance in 50 years (Annual Exceedance Probability = 0.00143, MRI = 700 Years). 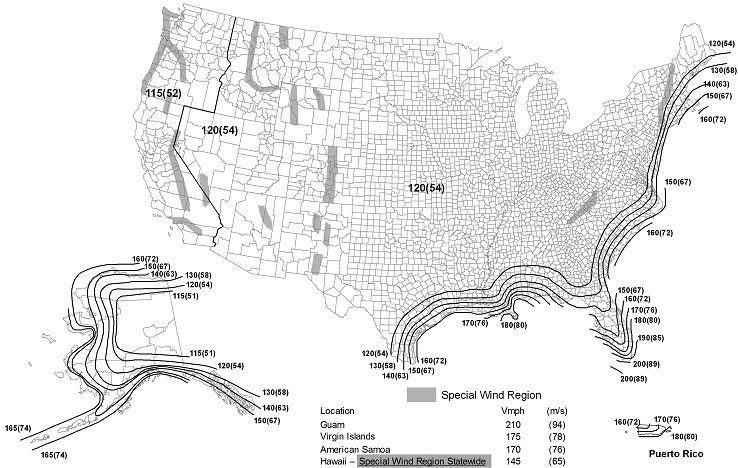 5.Wind speeds correspond to approximately a 3% probability of exceedance in 50 years (Annual Exceedance Probability = 0.000588, MRI = 1700 Years). 5.Wind speeds correspond to approximately a 15% probability of exceedance in 50 years (Annual Exceedance Probability = 0.00333, MRI = 300 Years). 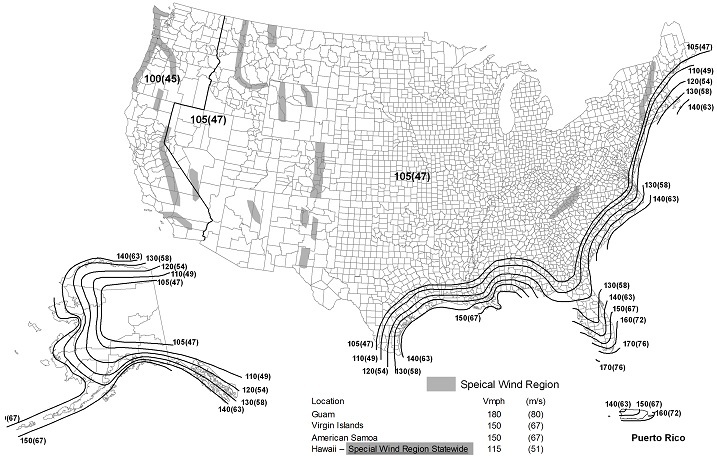 b.Vasd = nominal design wind speed applicable to methods specified in Exceptions 1 through 5 of Section 1609.1.1.
c.Vult = ultimate design wind speeds determined from Figure 1609.3(1), 1609.3(2) or 1609.3(3). 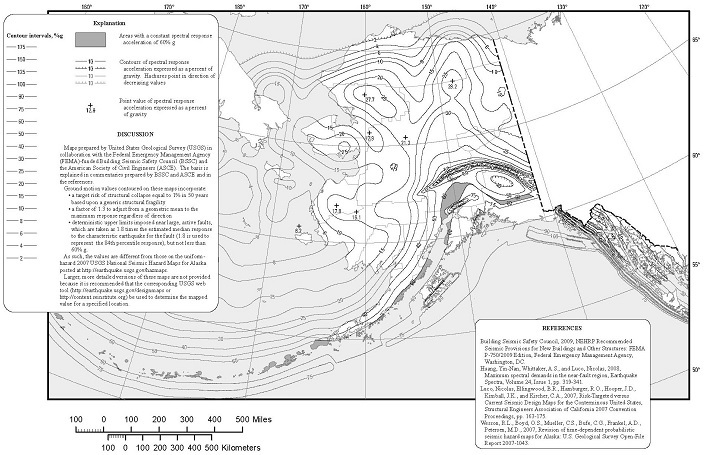 1609.4.1 Wind directions and sectors. 1.The roof tiles shall be either loose laid on battens, mechanically fastened, mortar set or adhesive set. 2.The roof tiles shall be installed on solid sheathing that has been designed as components and cladding. 3.An underlayment shall be installed in accordance with Chapter 15. 4.The tile shall be single lapped interlocking with a minimum head lap of not less than 2 inches (51 mm). 5.The length of the tile shall be between 1.0 and 1.75 feet (305 mm and 533 mm). 6.The exposed width of the tile shall be between 0.67 and 1.25 feet (204 mm and 381 mm). 7.The maximum thickness of the tail of the tile shall not exceed 1.3 inches (33 mm). 8.Roof tiles using mortar set or adhesive set systems shall have at least two-thirds of the tile’s area free of mortar or adhesive contact. 1.The building or other structure is less than or equal to 75 feet (22 860 mm) in height with a height-to-least-width ratio of 4 or less, or the building or other structure has a fundamental frequency greater than or equal to 1 hertz. 2.The building or other structure is not sensitive to dynamic effects. 3.The building or other structure is not located on a site for which channeling effects or buffeting in the wake of upwind obstructions warrant special consideration. 4.The building shall meet the requirements of a simple diaphragm building as defined in ASCE 7 Section 26.2, where wind loads are only transmitted to the main windforce-resisting system (MWFRS) at the diaphragms. 5.For open buildings, multispan gable roofs, stepped roofs, sawtooth roofs, domed roofs, roofs with slopes greater than 45 degrees (0.79 rad), solid free-standing walls and solid signs, and rooftop equipment, apply ASCE 7 provisions. 1609.6.4.2 Determination of Kz and Kzt. 1.For the windward side of a structure, Kzt and Kz shall be based on height z. 2.For leeward and sidewalls, and for windward and leeward roofs, Kzt and Kz shall be based on mean roof height h.
1609.6.4.3 Determination of net pressure coefficients, Cnet. 1.The pressure coefficient, Cnet, for walls and roofs shall be determined from Table 1609.6.2. 2.Where Cnet has more than one value, the more severe wind load condition shall be used for design. 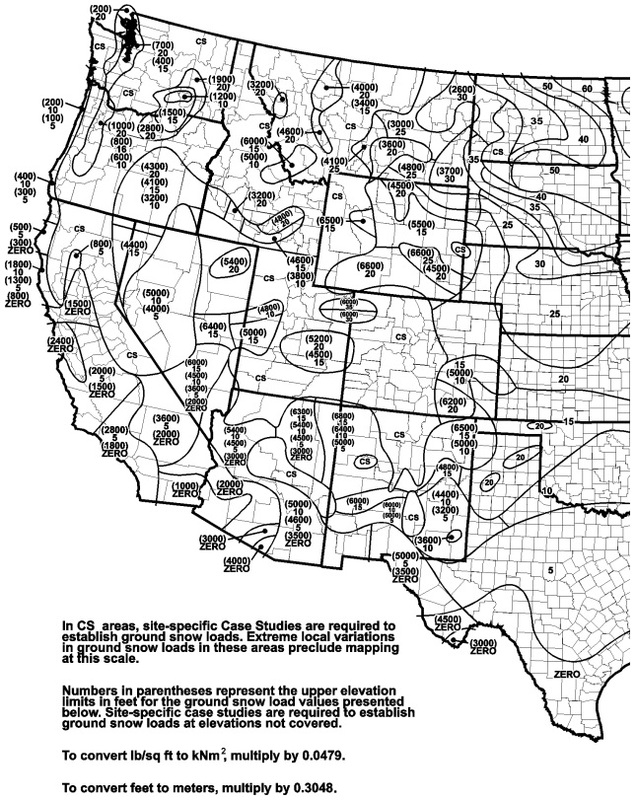 1609.6.4.4 Application of wind pressures. 1.Calculated pressures at local discontinuities acting over specific edge strips or corner boundary areas. 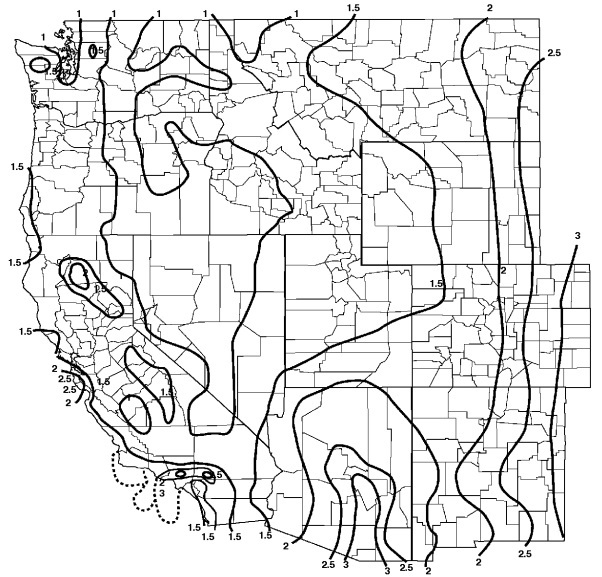 2.Include “field” (Zone 1, 2 or 4, as applicable) pressures applied to areas beyond the boundaries of the areas of discontinuity. 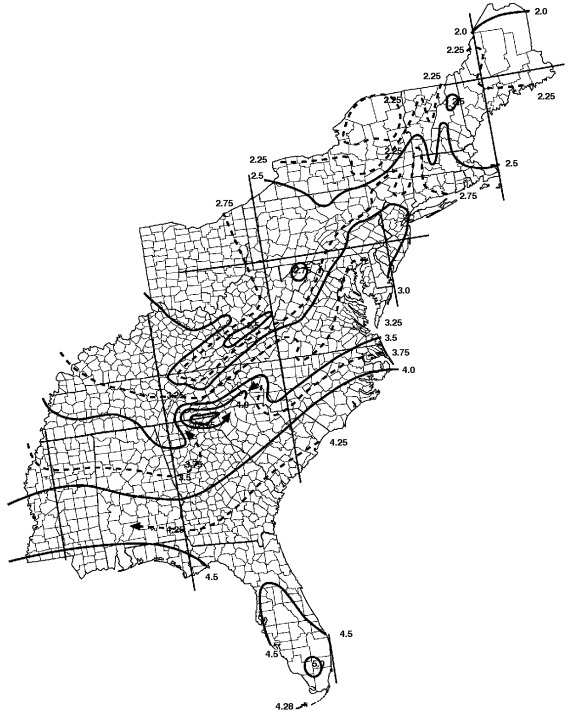 3.Where applicable, the calculated pressures at discontinuities (Zone 2 or 3) shall be combined with design pressures that apply specifically on rakes or eave overhangs. 1612.3 Establishment of flood hazard areas. 2.Determine the design flood elevation and/or floodway in accordance with accepted hydrologic and hydraulic engineering practices used to define special flood hazard areas. Determinations shall be undertaken by a registered design professional who shall document that the technical methods used reflect currently accepted engineering practice. 1.2. For fully enclosed areas below the design flood elevation where provisions to allow for the automatic entry and exit of floodwaters do not meet the minimum requirements in Section 2.7.2.1 of ASCE 24, construction documents shall include a statement that the design will provide for equalization of hydrostatic flood forces in accordance with Section 2.7.2.2 of ASCE 24. 1.Detached one- and two-family dwellings, assigned to Seismic Design Category A, B or C, or located where the mapped short-period spectral response acceleration, SS, is less than 0.4 g.
2.The seismic force-resisting system of wood-frame buildings that conform to the provisions of Section 2308 are not required to be analyzed as specified in this section. 3.Agricultural storage structures intended only for incidental human occupancy. 4.Structures that require special consideration of their response characteristics and environment that are not addressed by this code or ASCE 7 and for which other regulations provide seismic criteria, such as vehicular bridges, electrical transmission towers, hydraulic structures, buried utility lines and their appurtenances and nuclear reactors. 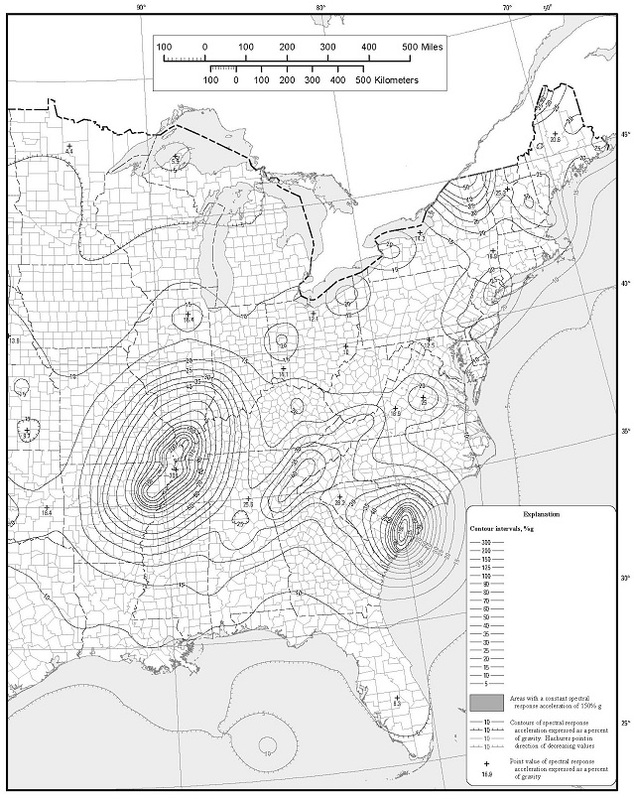 1613.3 Seismic ground motion values. 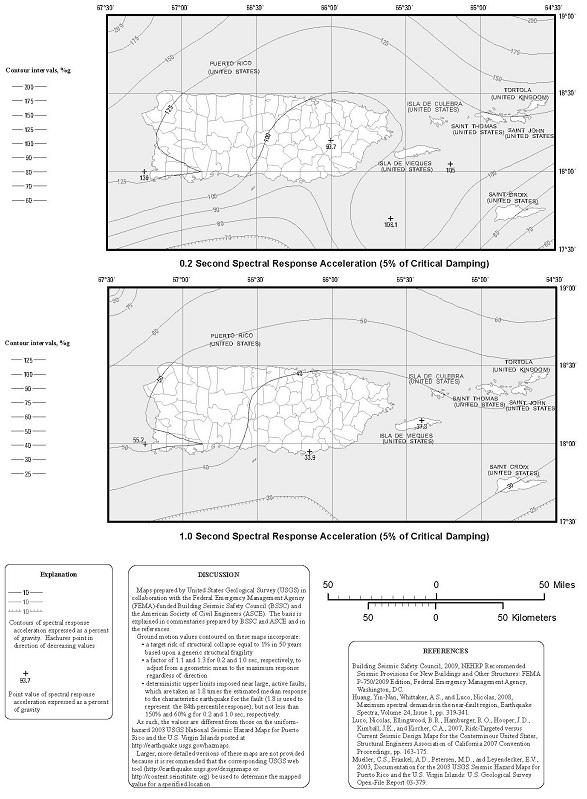 1613.3.3 Site coefficients and adjusted maximum considered earthquake spectral response acceleration parameters. 1613.3.4 Design spectral response acceleration parameters. 1613.3.5 Determination of seismic design category. 1613.3.5.1 Alternative seismic design category determination. 1.In each of the two orthogonal directions, the approximate fundamental period of the structure, Ta, in each of the two orthogonal directions determined in accordance with Section 12.8.2.1 of ASCE 7, is less than 0.8 Ts determined in accordance with Section 11.4.5 of ASCE 7. 2.In each of the two orthogonal directions, the fundamental period of the structure used to calculate the story drift is less than Ts. 3.Equation 12.8-2 of ASCE 7 is used to determine the seismic response coefficient, Cs. 4.The diaphragms are rigid or are permitted to be idealized as rigid in accordance with Section 12.3.1 of ASCE 7 or, for diaphragms permitted to be idealized as flexible in accordance with Section 12.3.1 of ASCE 7, the distances between vertical elements of the seismic force-resisting system do not exceed 40 feet (12 192 mm). 1613.4 Alternatives to ASCE 7. 1613.4.1 Additional seismic force-resisting systems for seismically isolated structures. 1.The value of RI as defined in Chapter 17 is taken as 1. 2.For OMFs and OCBFs, design is in accordance with AISC 341. 1613.5 Amendments to ASCE 7. 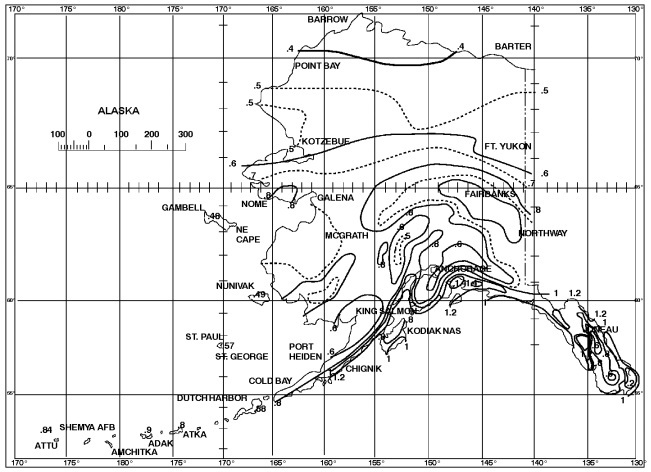 1613.5.1 Transfer of anchorage forces into diaphragm. 1613.6 Ballasted photovoltaic panel systems. 1615.3.2 Structural steel, open web steel joist or joist girder, or composite steel and concrete frame structures. 1615.4.2 Other bearing wall structures.